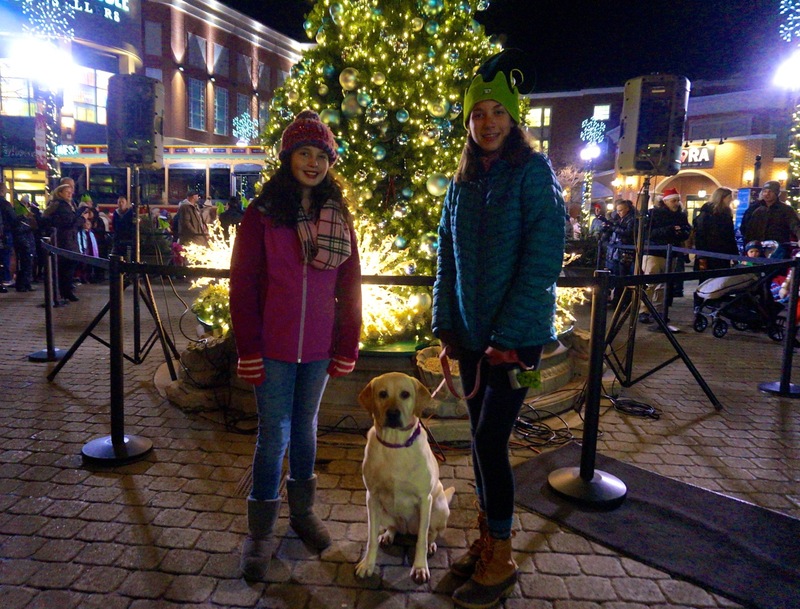 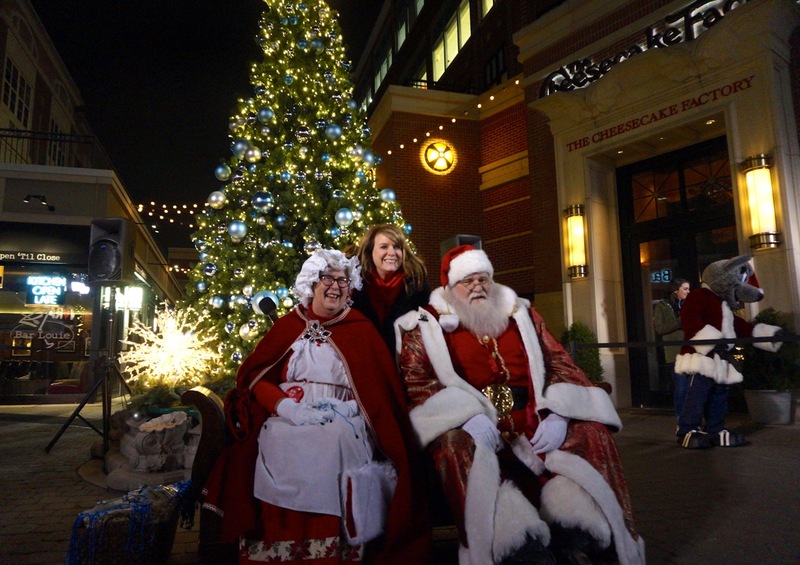 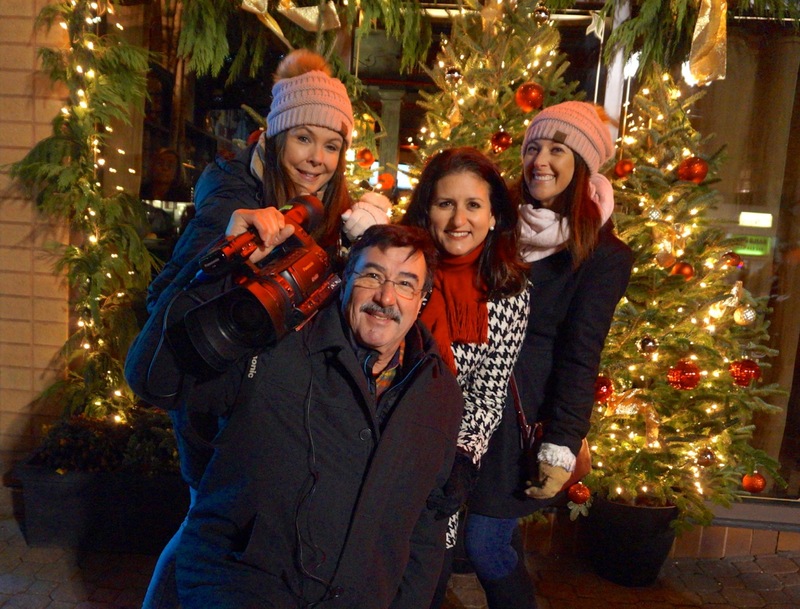 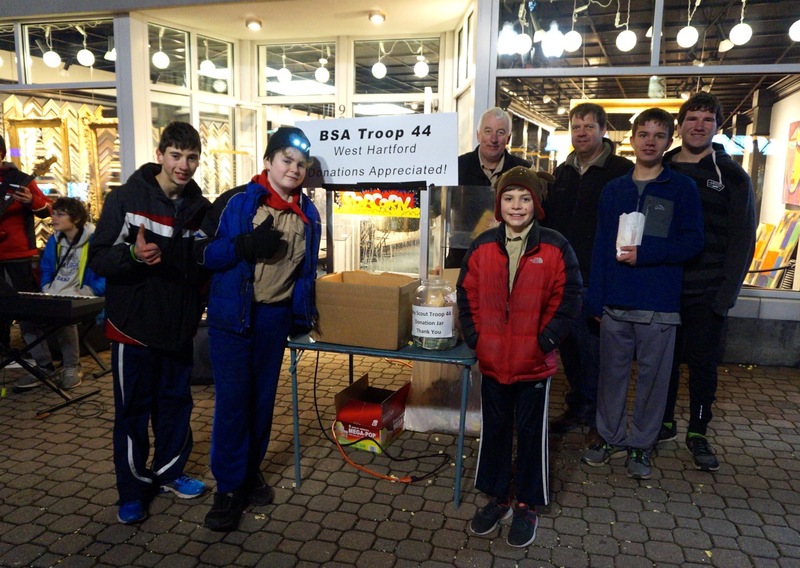 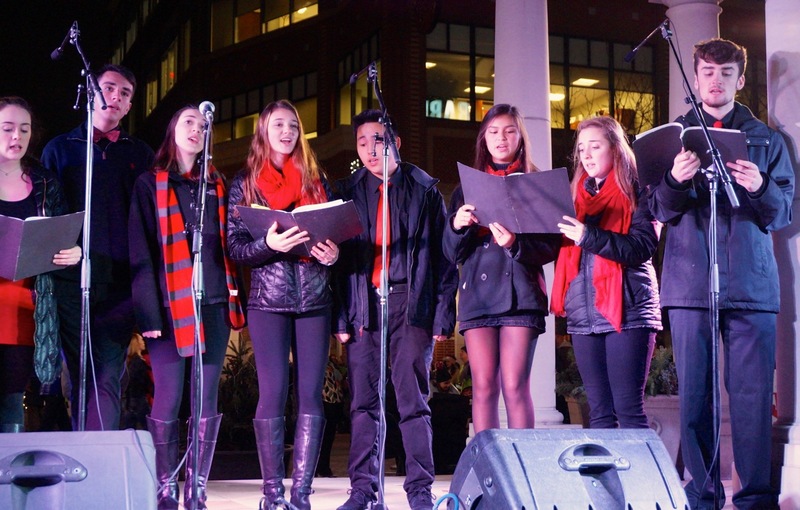 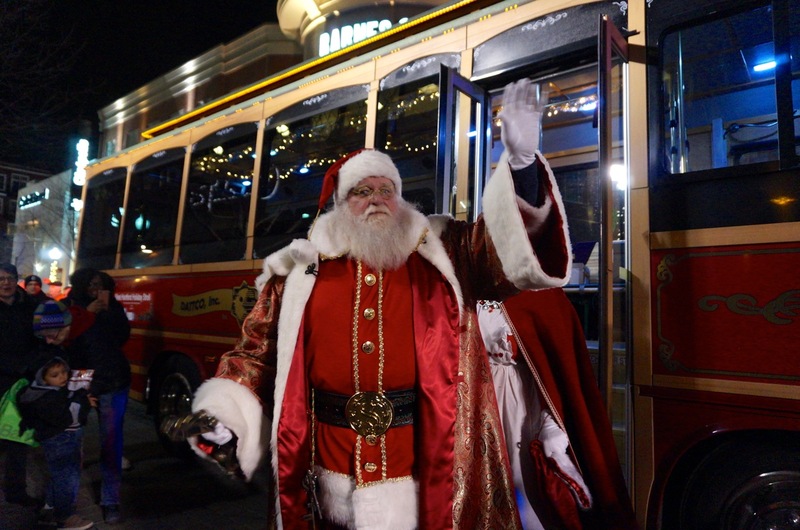 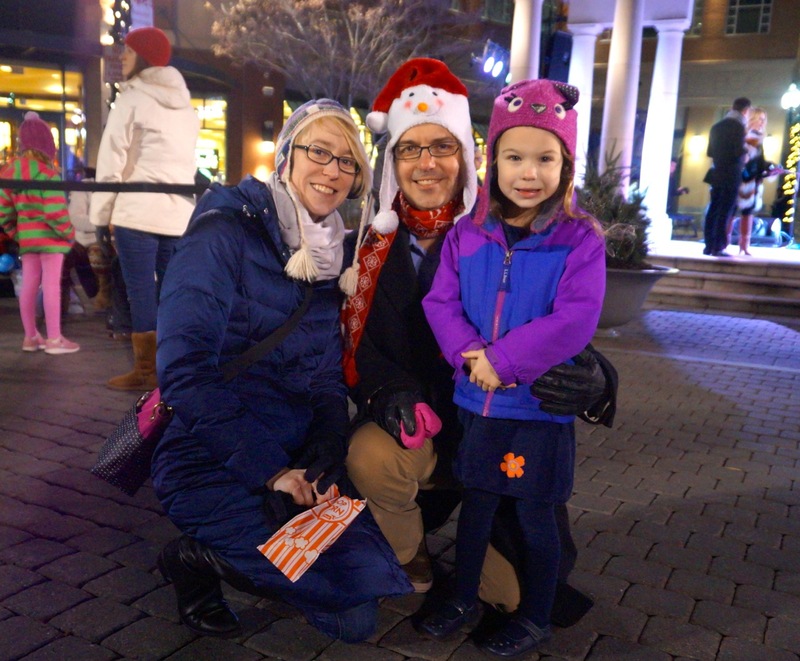 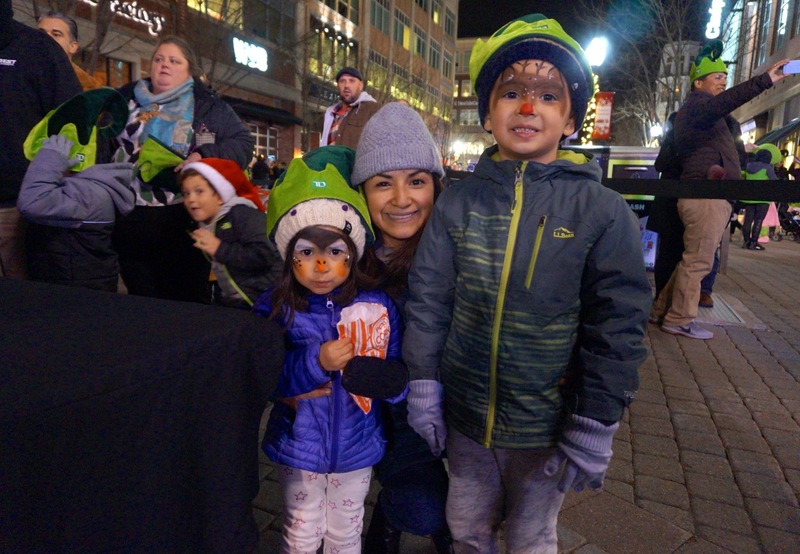 Thousands of people visited West Hartford Center and Blue Back Square on Thursday, Nov. 29 during the 31st annual Holiday Stroll. 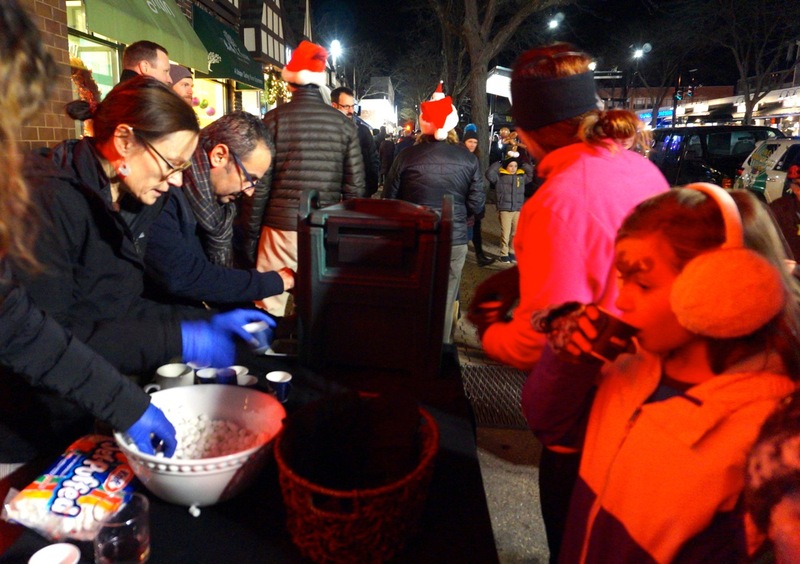 Santa Claus, chestnuts roasted on an open fire, carolers, Chanukah gelt, home-baked cookies, and hot cocoa topped with marshmallows were just some of the highlights of West Hartford’s 31st annual Holiday Stroll, enjoyed by thousands of people who visited the Center and Blue Back Square on Thursday night. 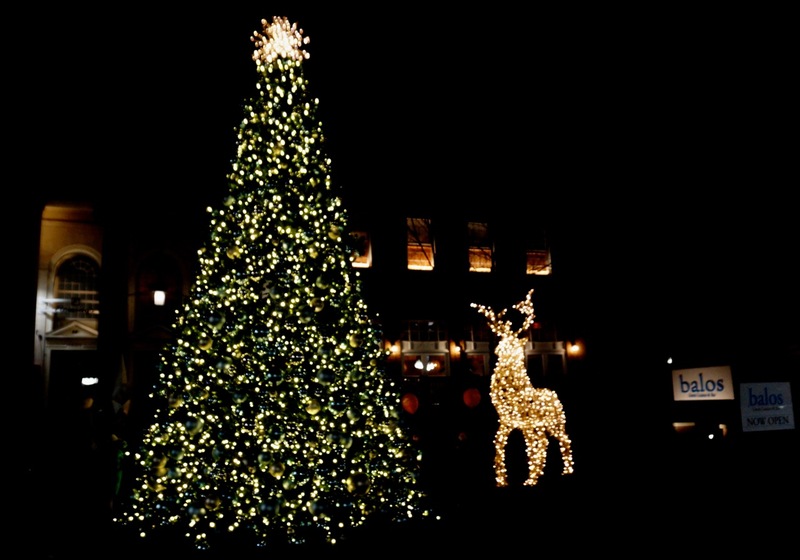 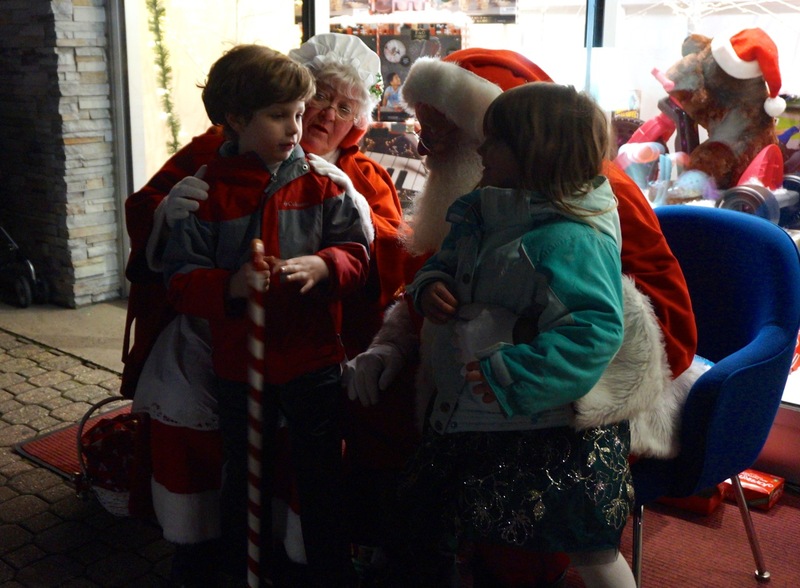 Children were wide-eyed as Santa arrived via trolley in Blue Back Square, and waved his magic wand to illuminate the tree. 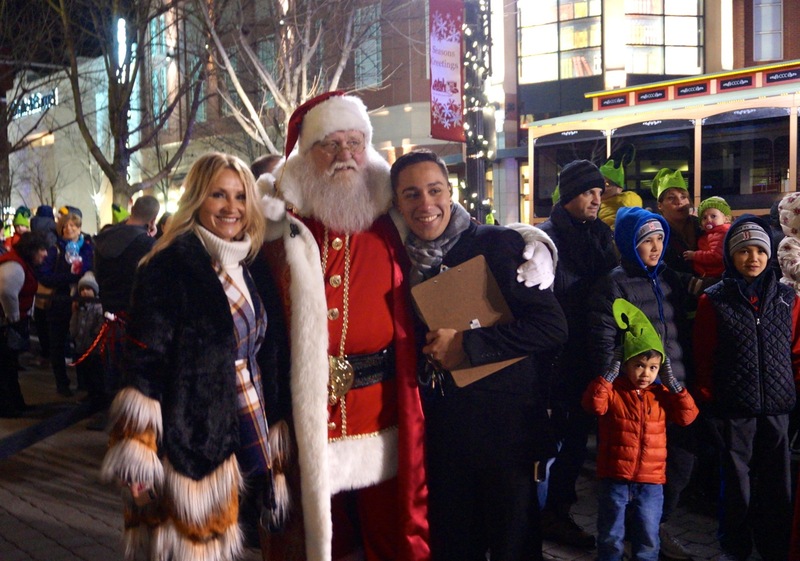 He was joined by Mrs. Claus to visit with children and listen to their holiday wishes. 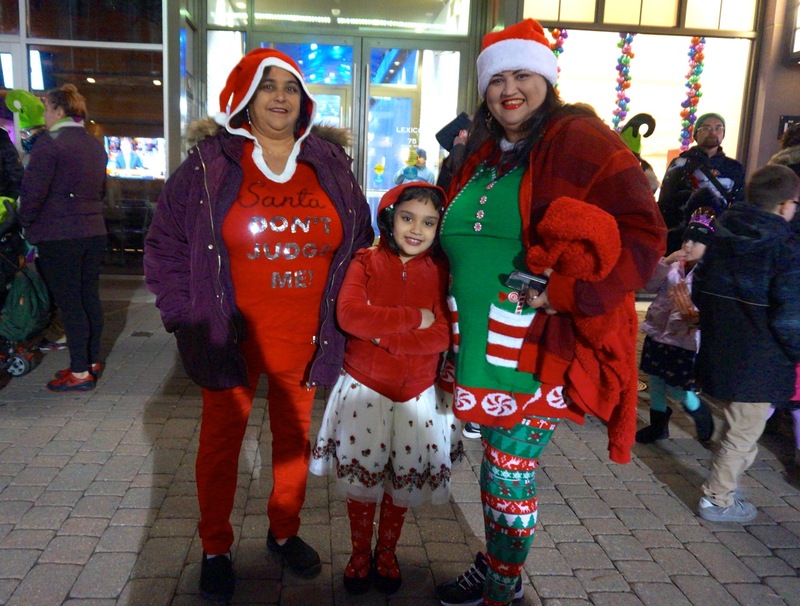 “Another” Santa and Mrs. Claus arrived by firetruck at the Toy Chest in the Center, and also visited with and posed for photos with the children, and a “blue” Santa, affiliated with the West Hartford Police Department, also strolled the streets. 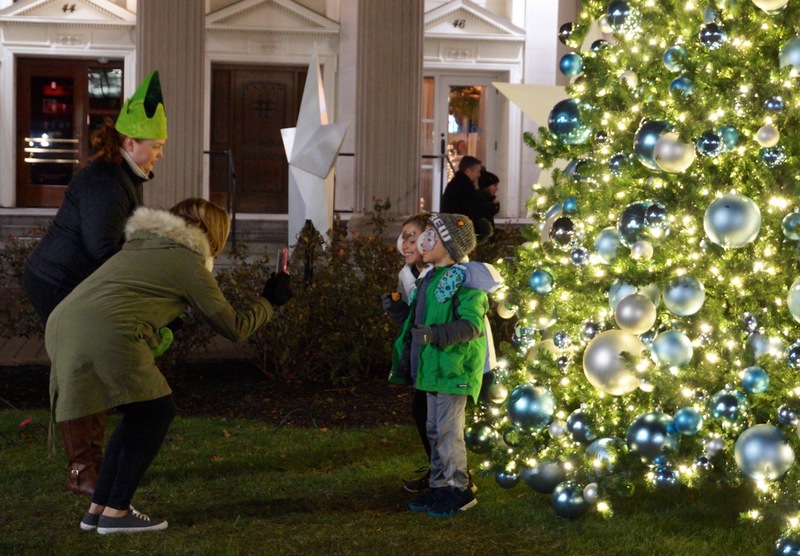 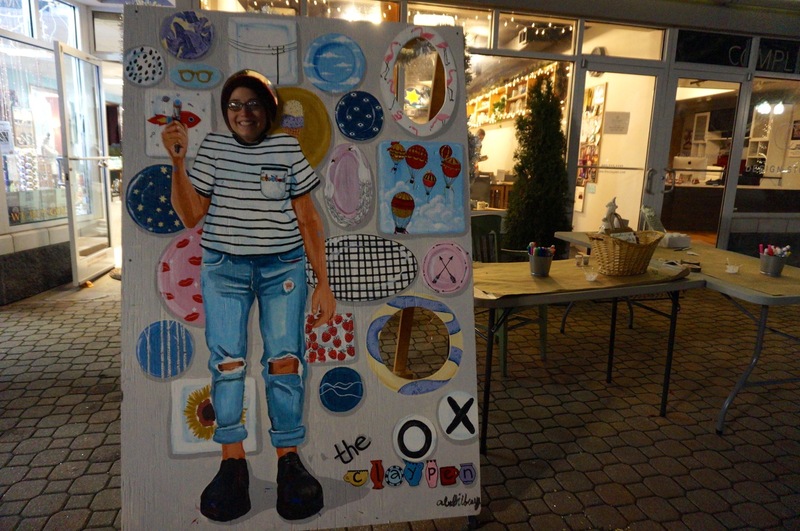 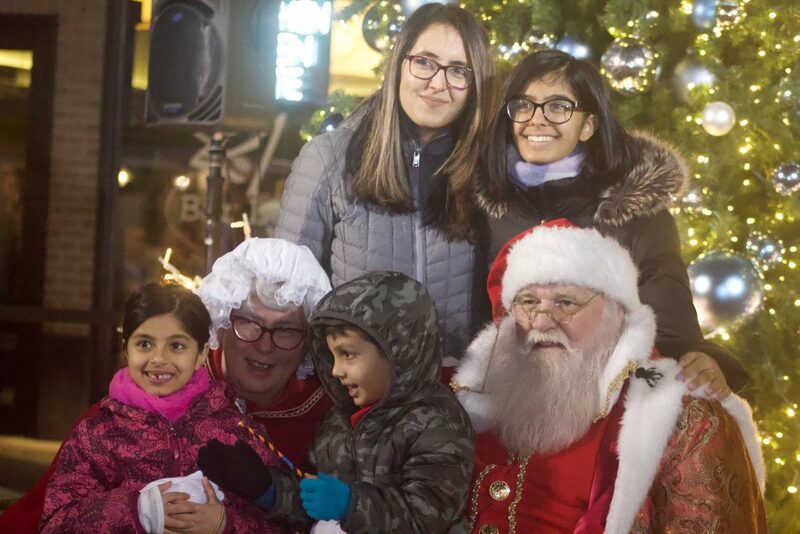 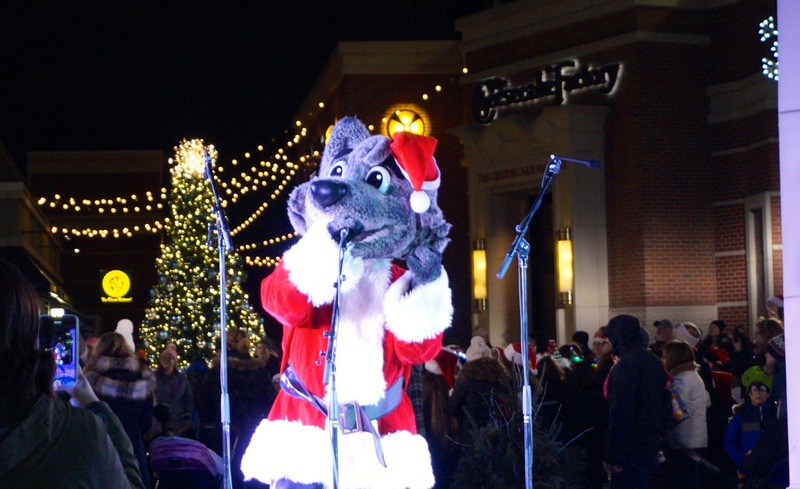 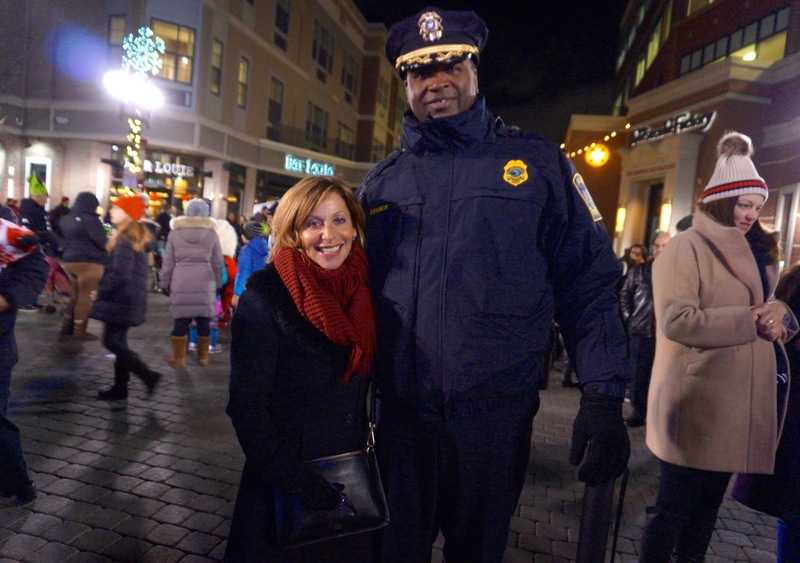 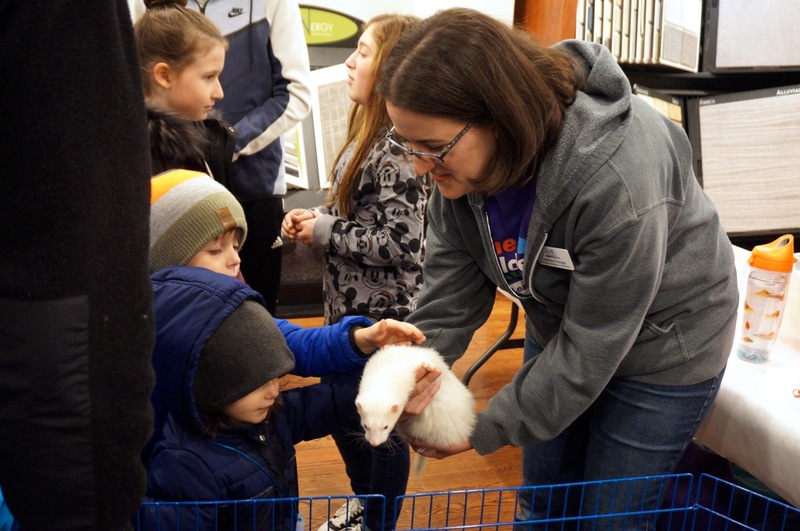 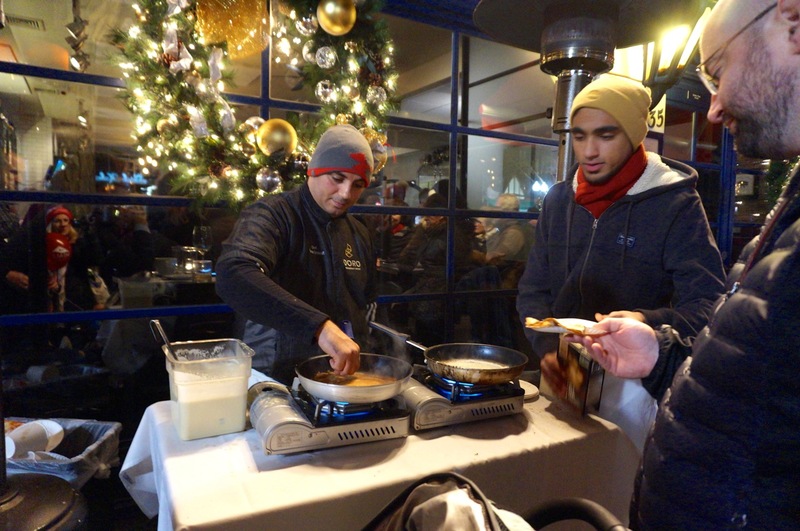 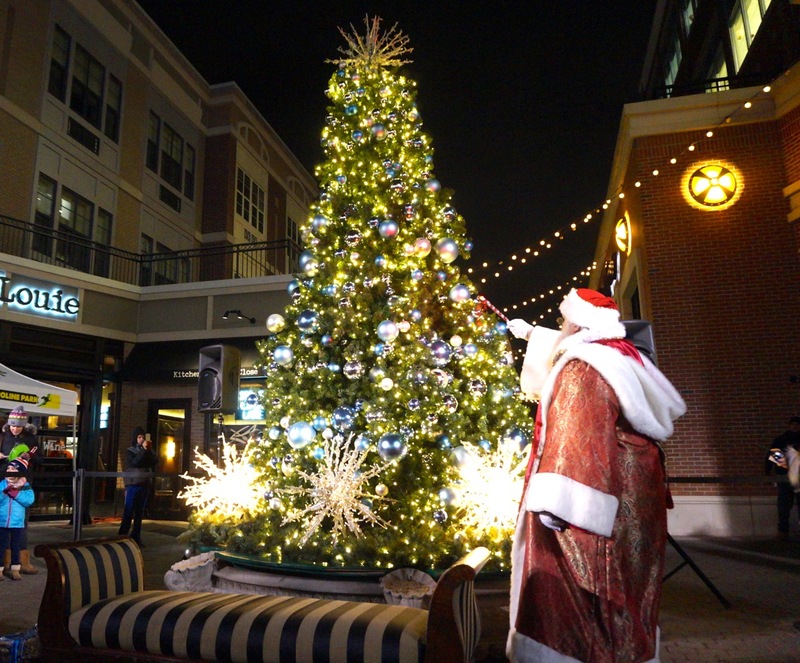 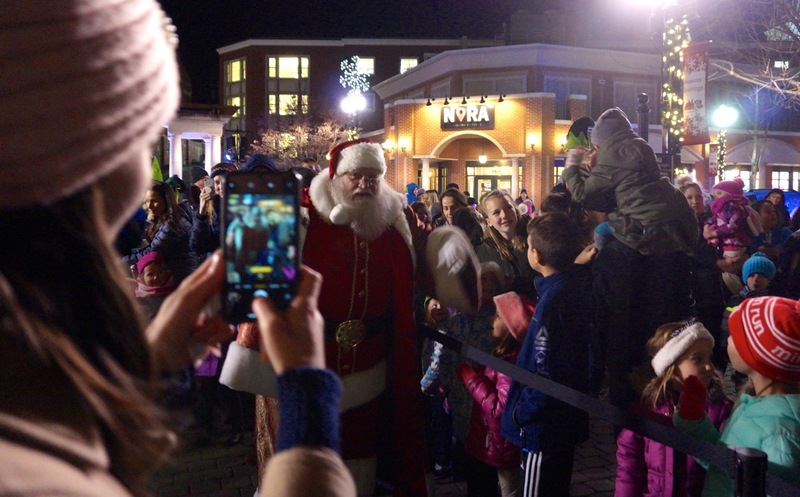 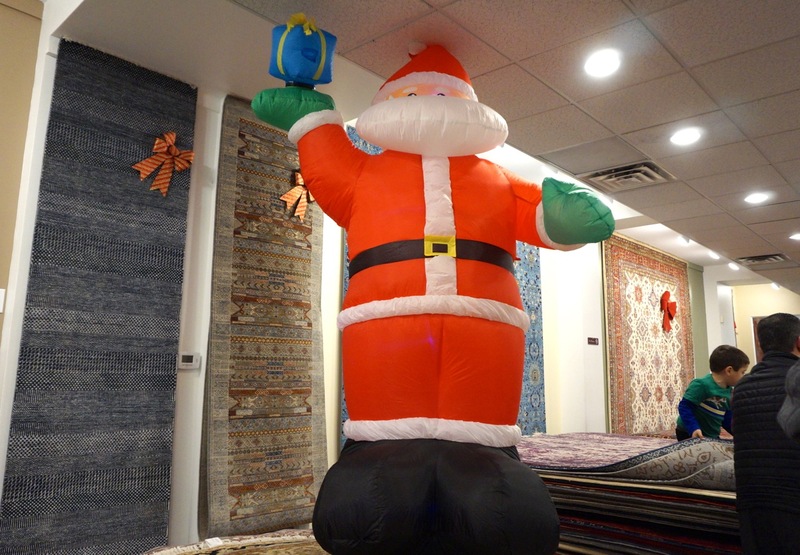 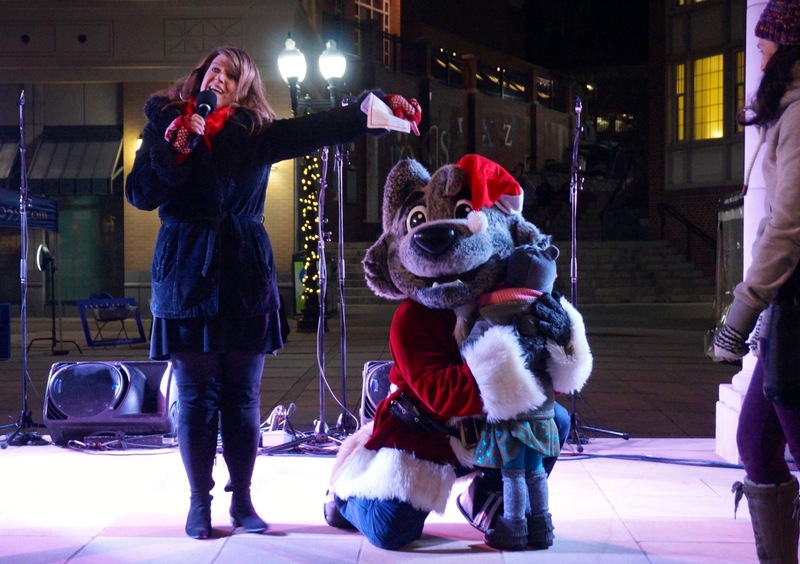 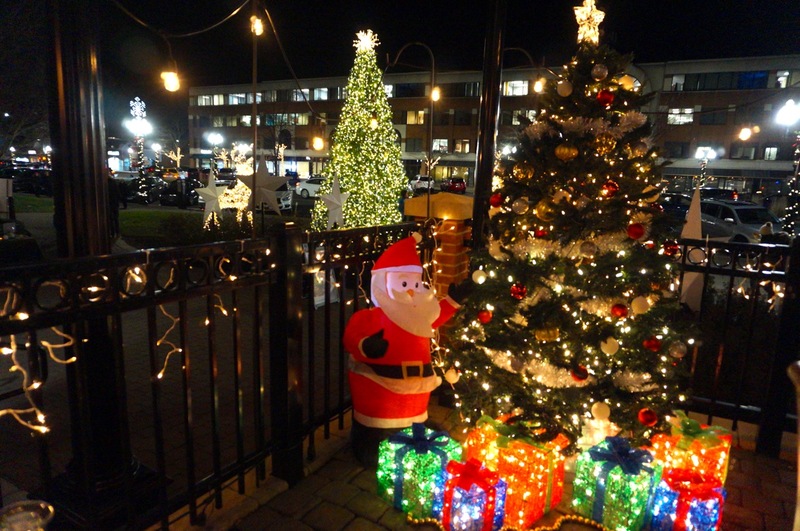 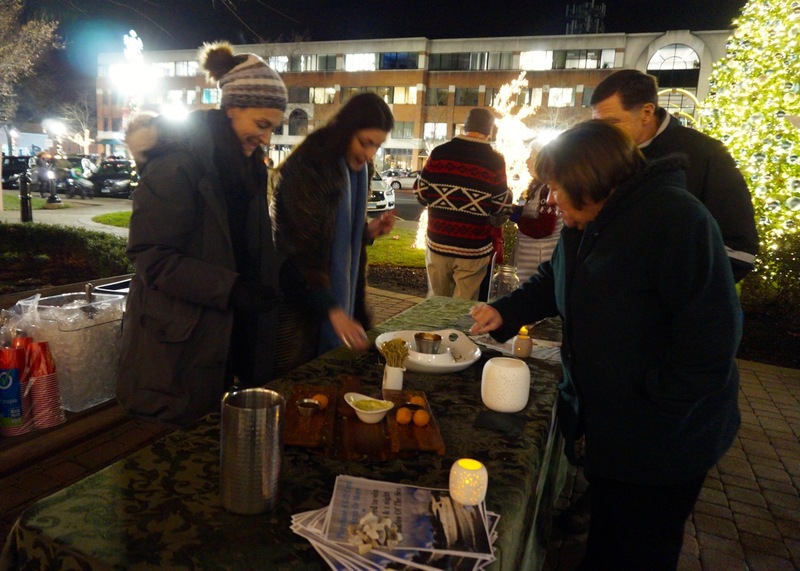 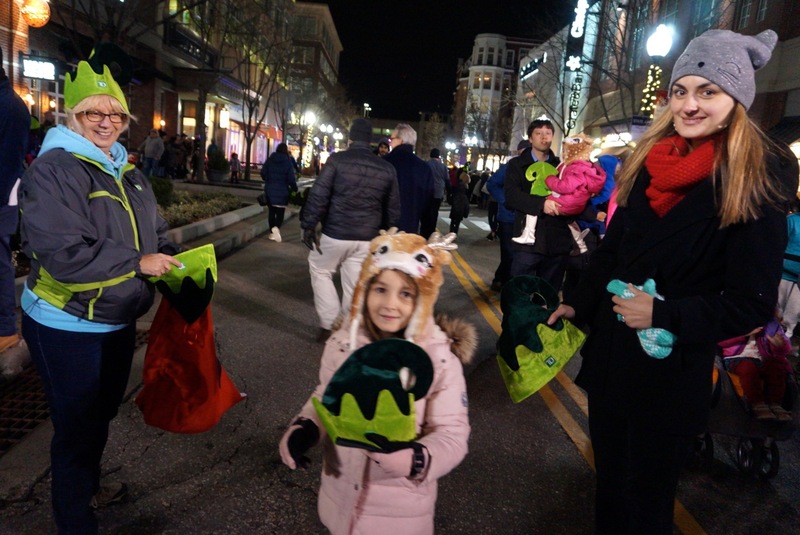 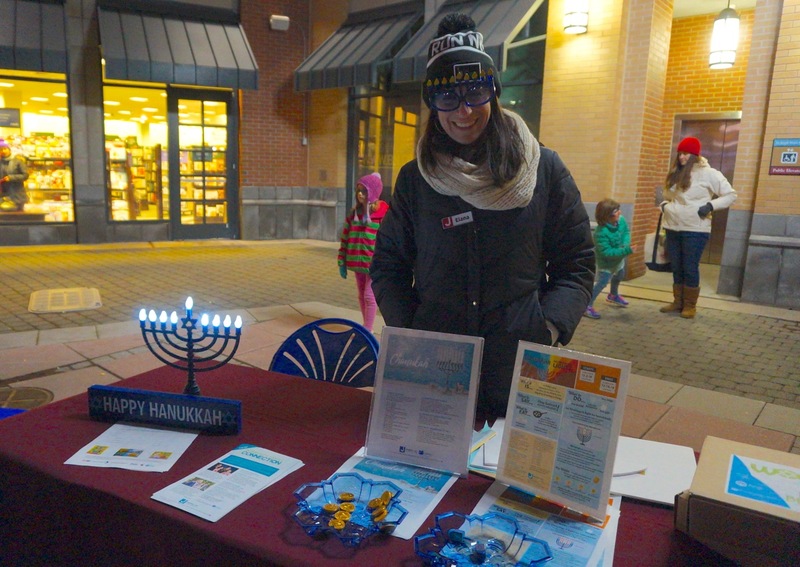 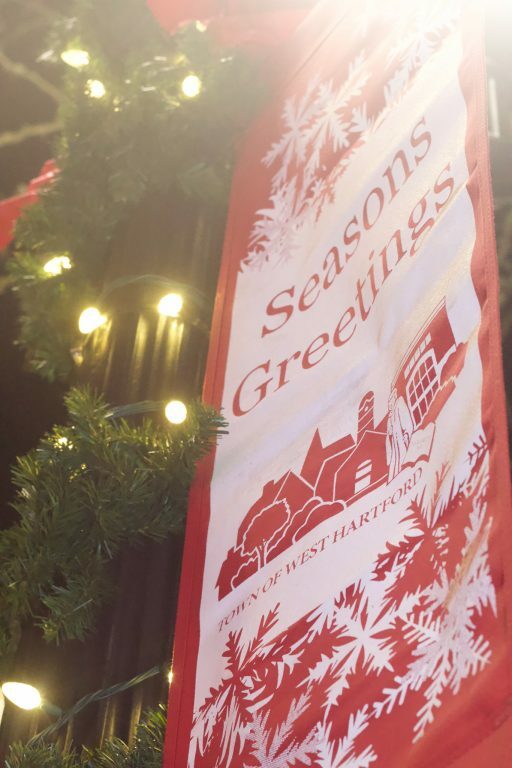 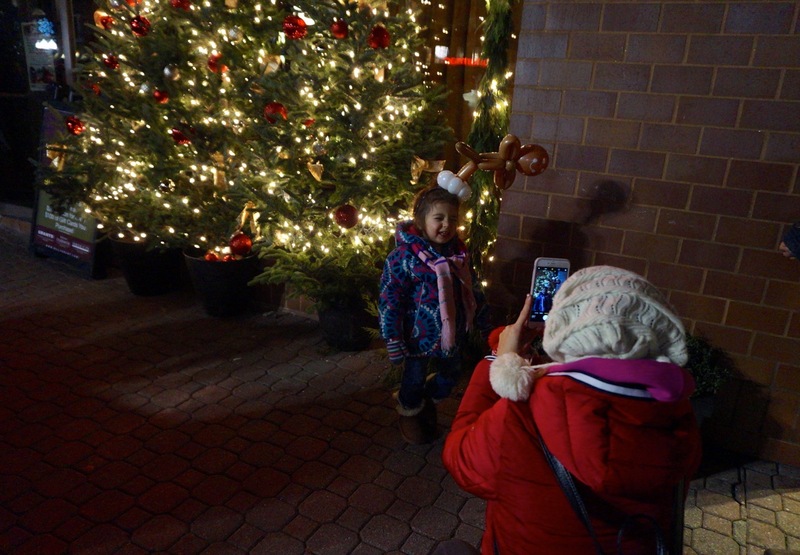 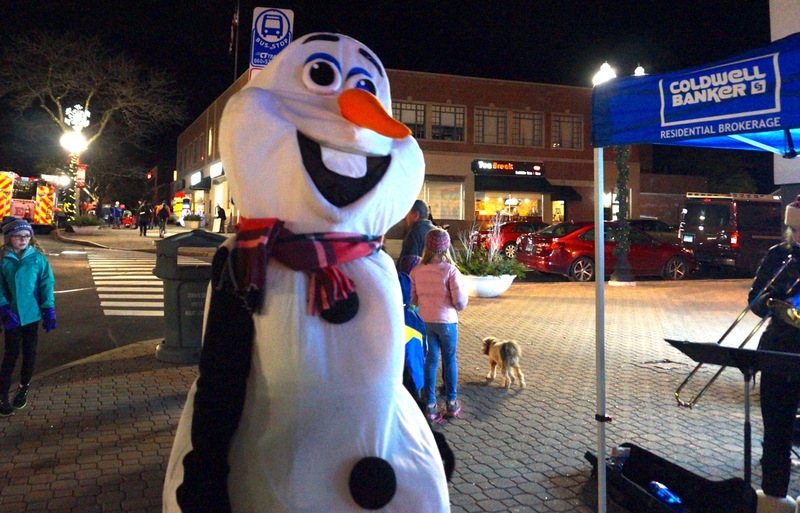 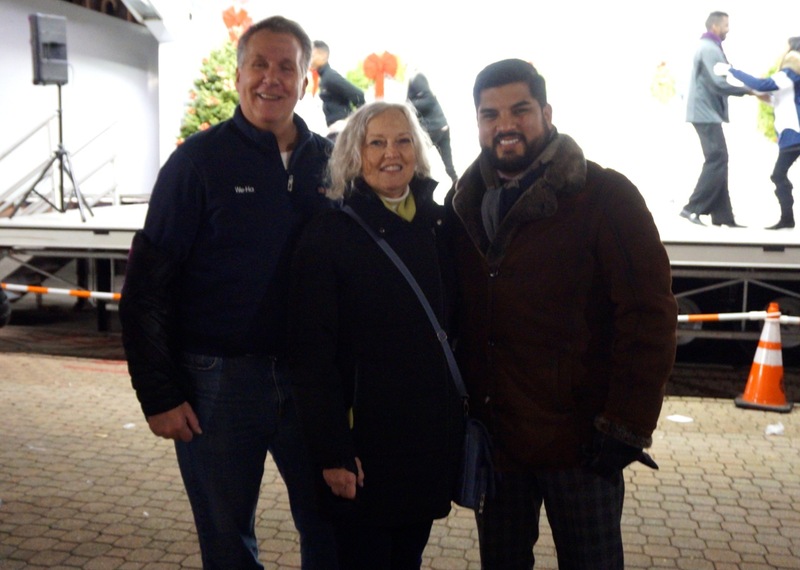 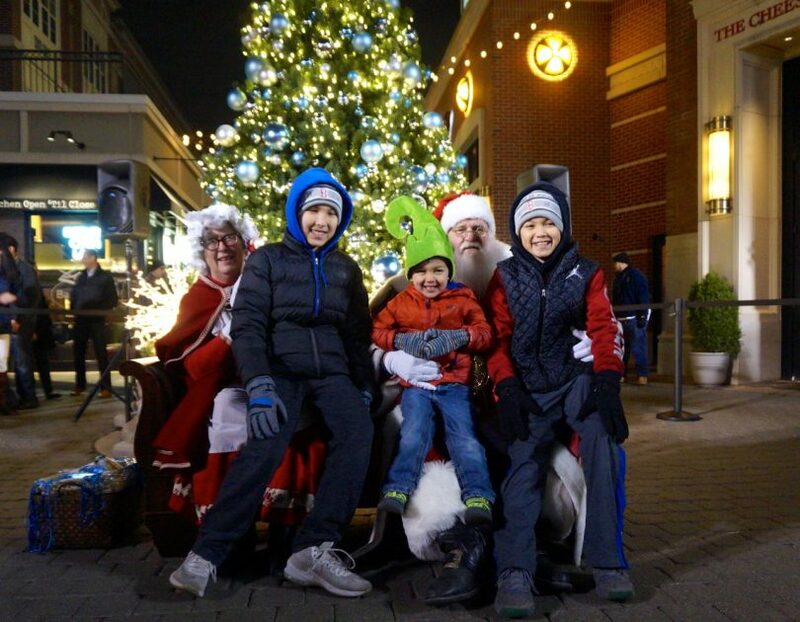 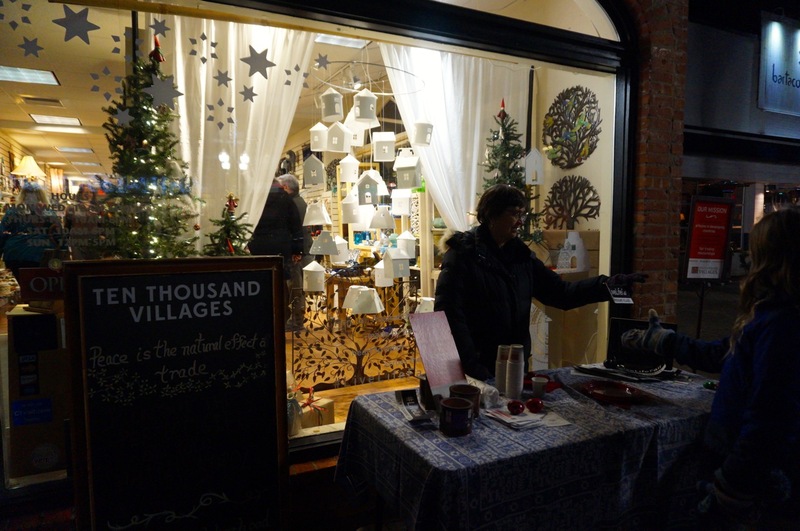 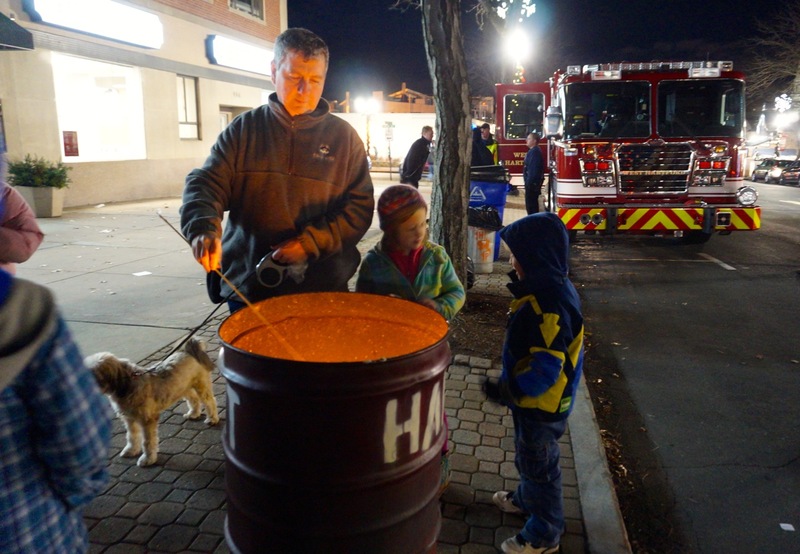 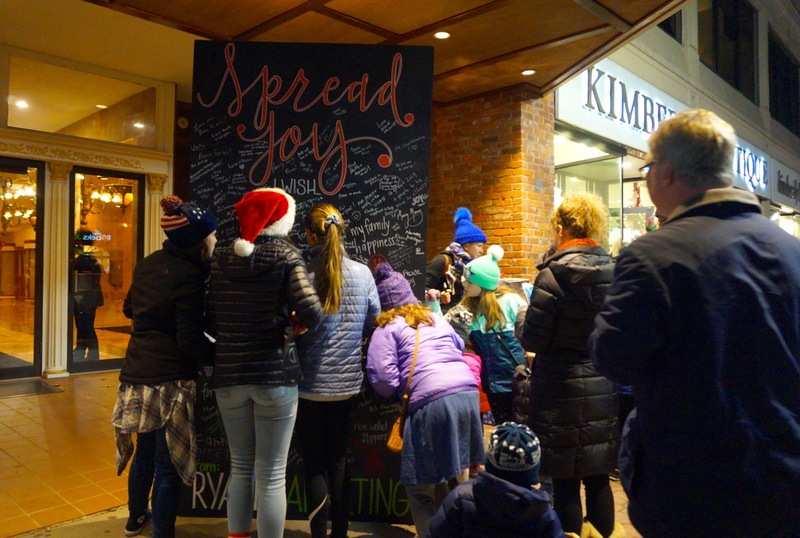 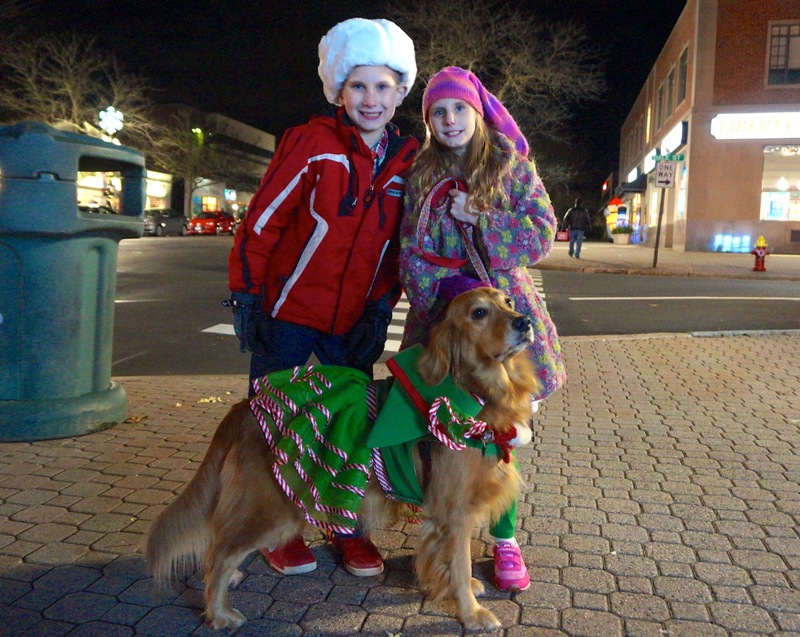 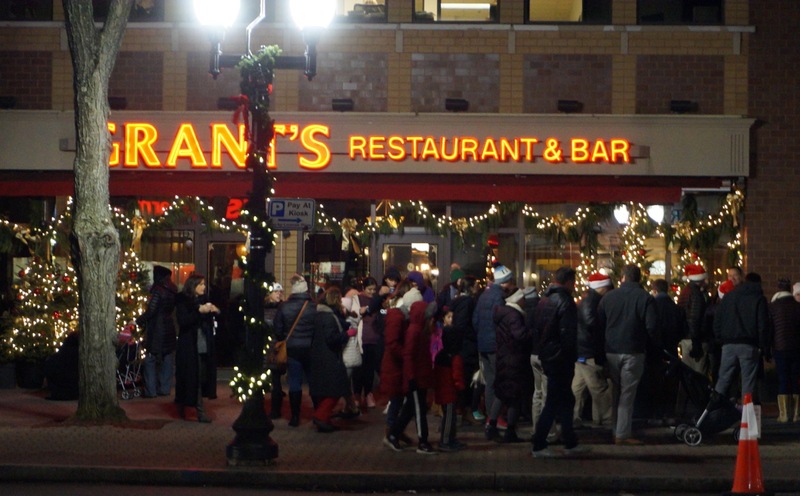 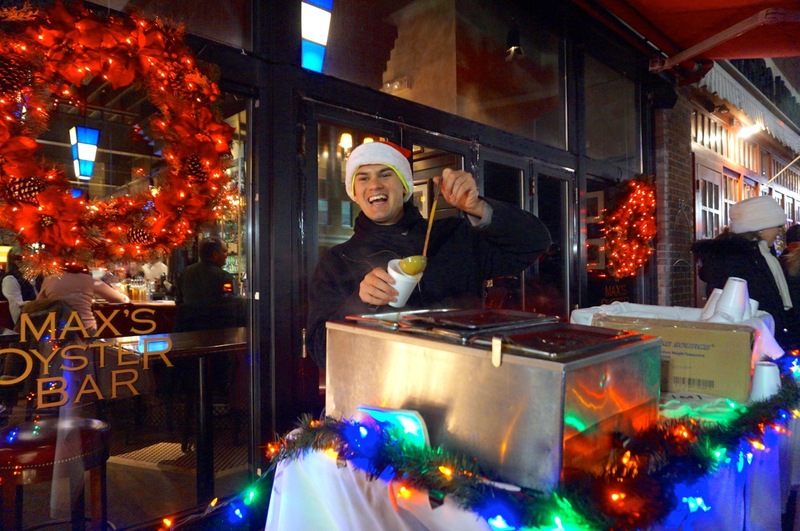 Holiday cheer filled the air from one end of West Hartford Center to the other and throughout Blue Back Square as the local businesses and the Chamber of Commerce hosted the free event as a thank you to the community. 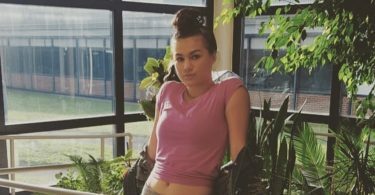 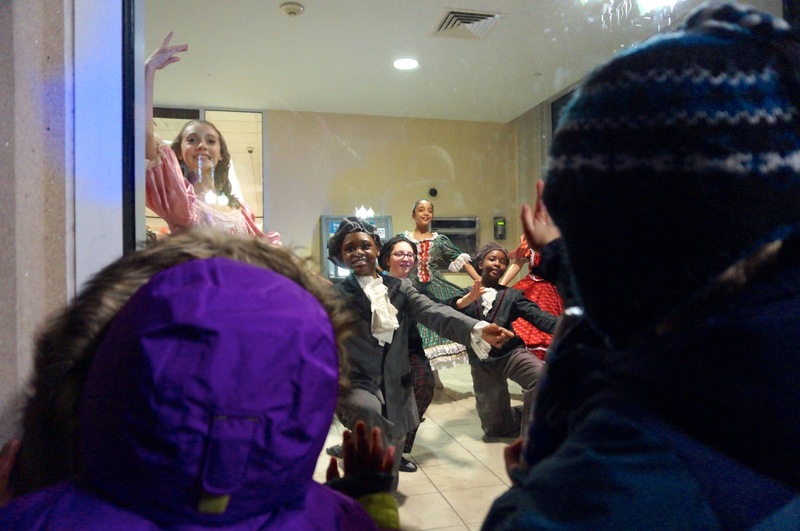 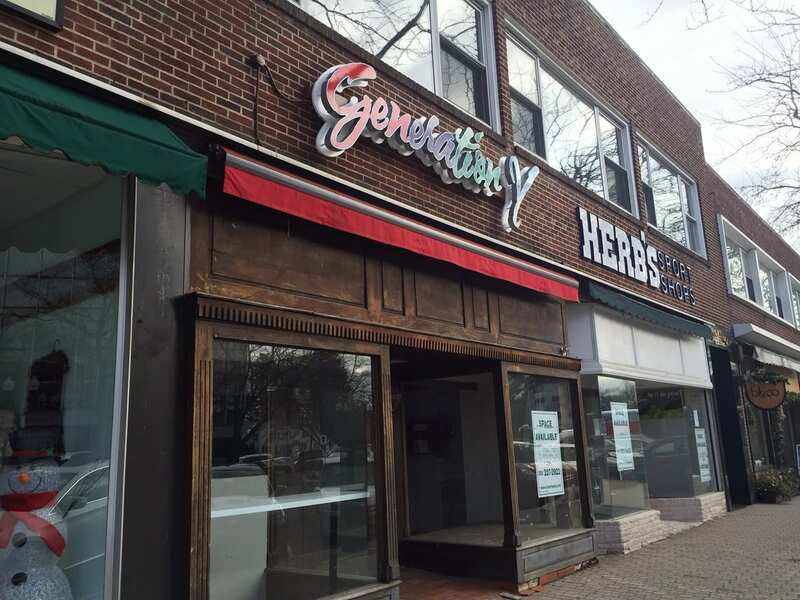 Local musical groups and dancers performed on stages in Blue Back Square and on the showmobile on Farmington Avenue, while ballerinas danced in storefront windows. 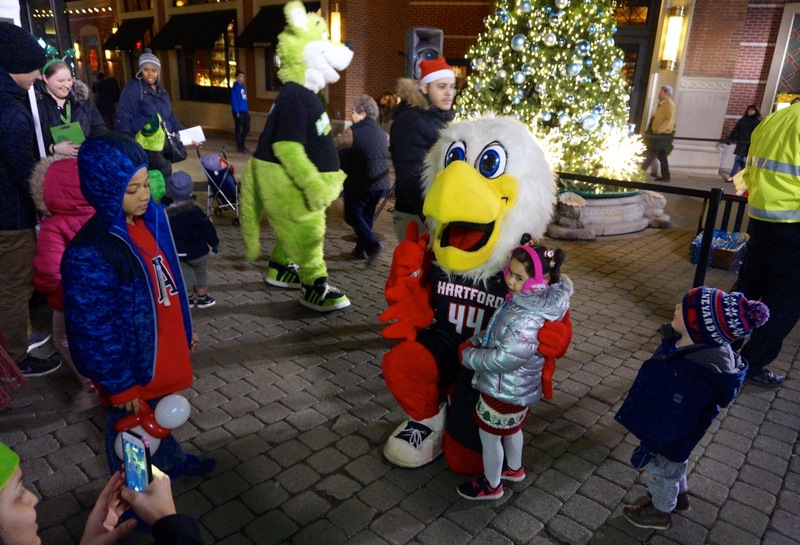 Mascots from area sports teams strolled among the crowds and there was face painting, games, luminaria to create, live animals, a chance to climb inside a fire truck. 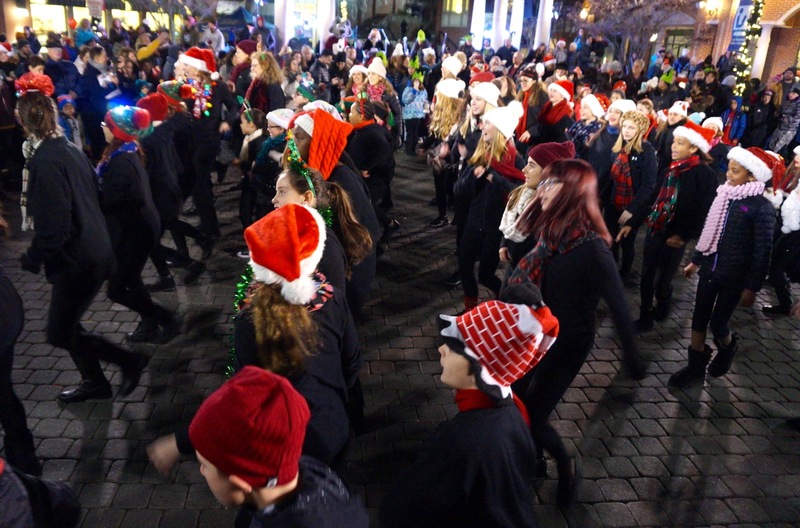 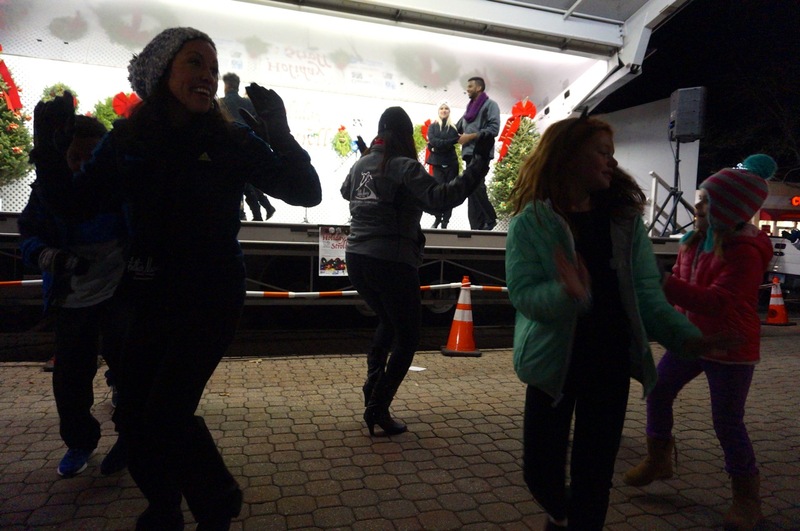 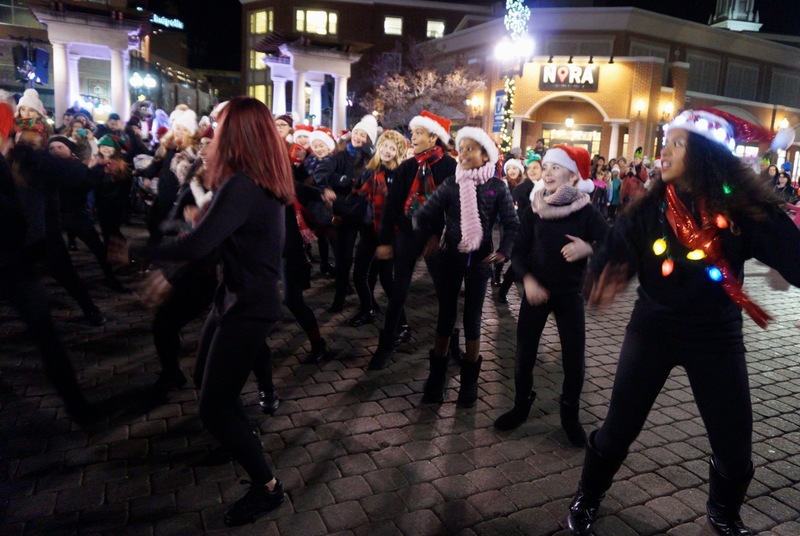 The crowd cheered as a flash mob, dancing and singing holiday favorites, temporarily took over the roadway in Blue Back Square. 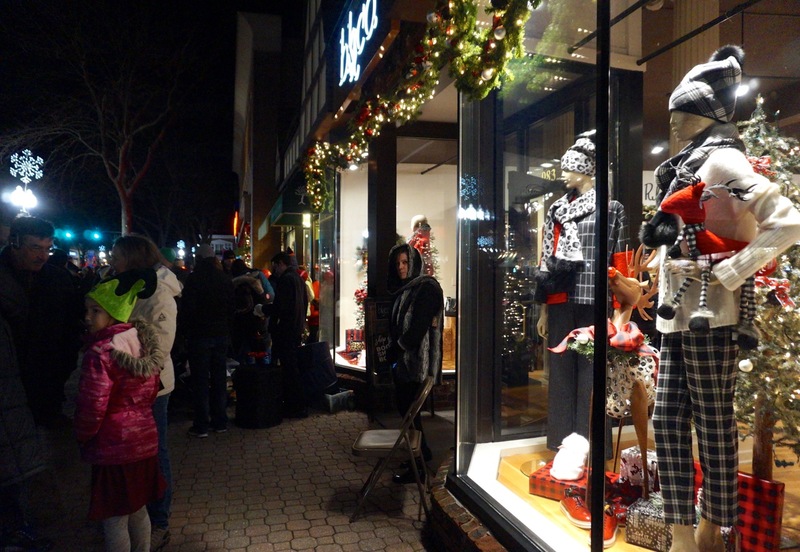 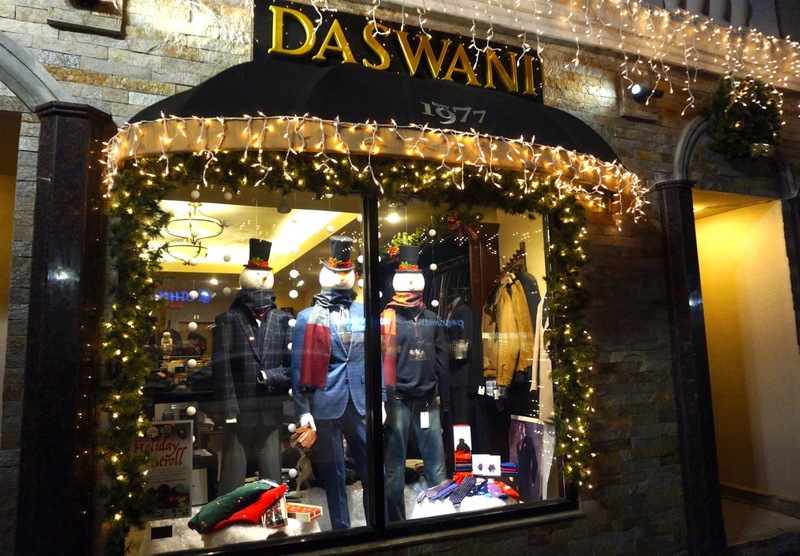 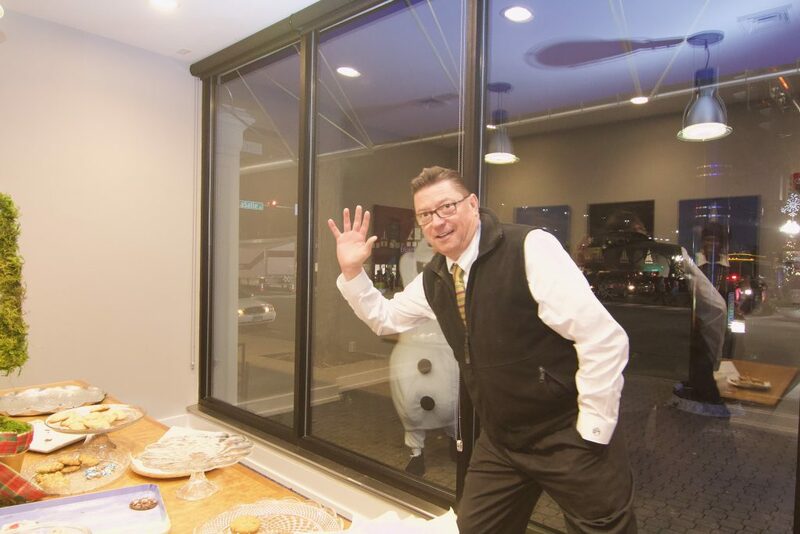 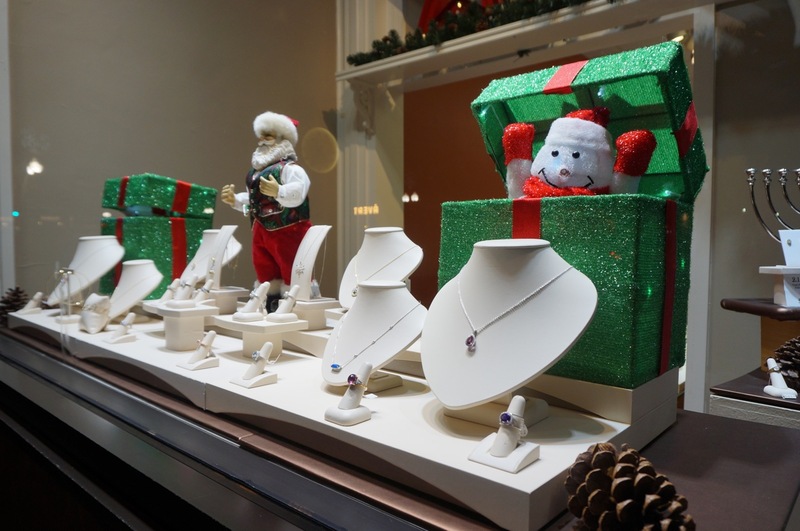 Festive windows, twinkly lights, and other holiday decorations delighted the young and old alike. 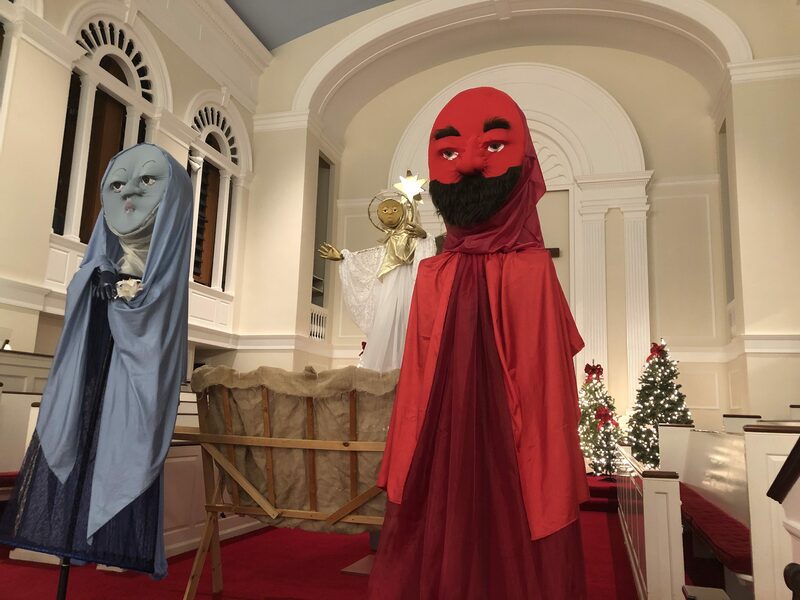 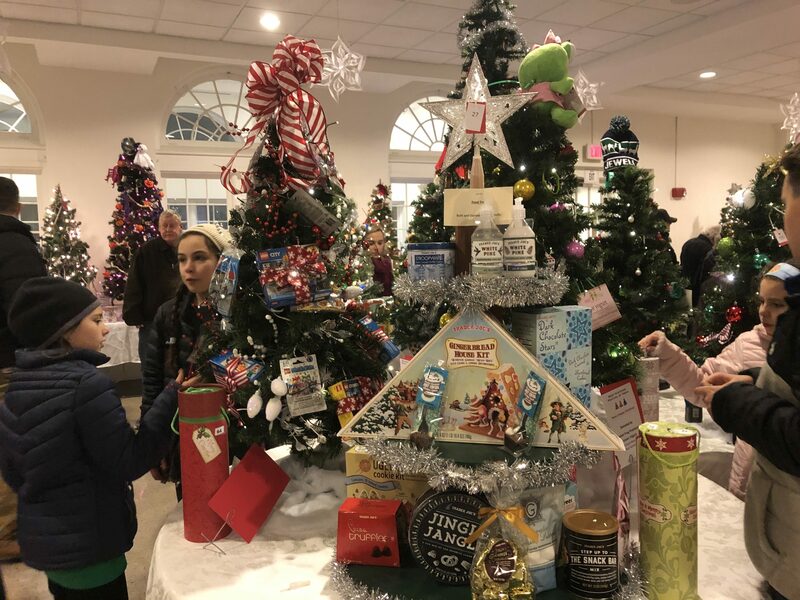 Two thousand visitors strolled into First Church West Hartford on South Main Street for the fifth annual Festival of Trees during the annual Holiday Stroll. 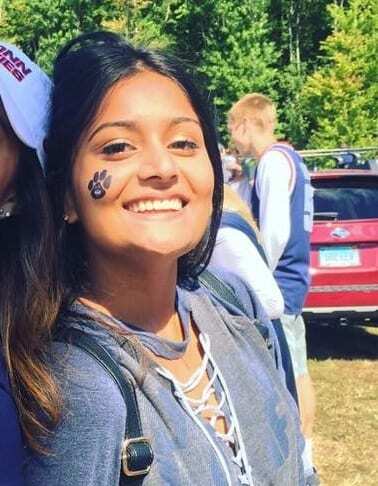 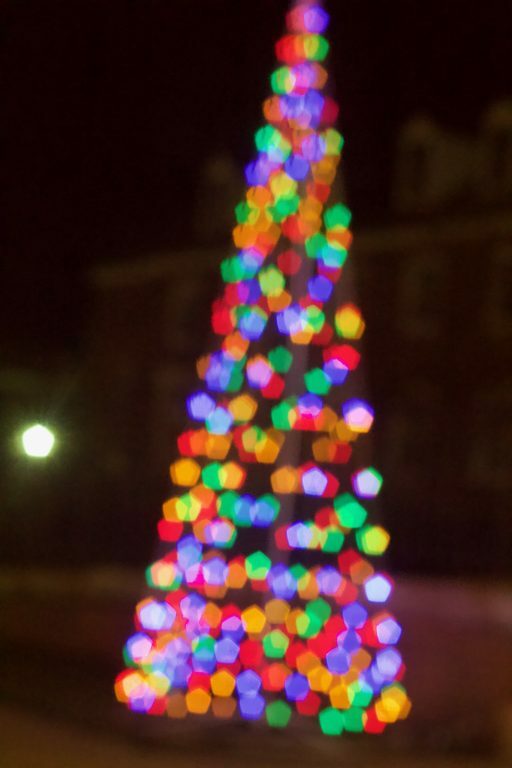 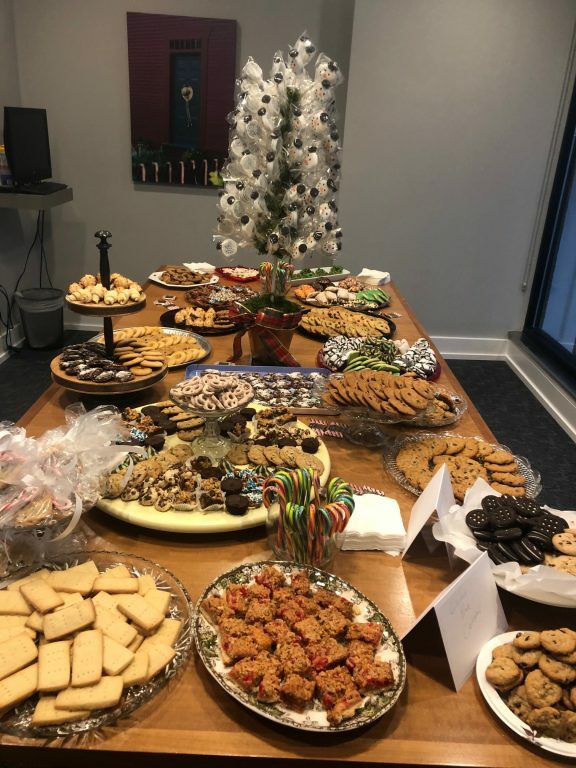 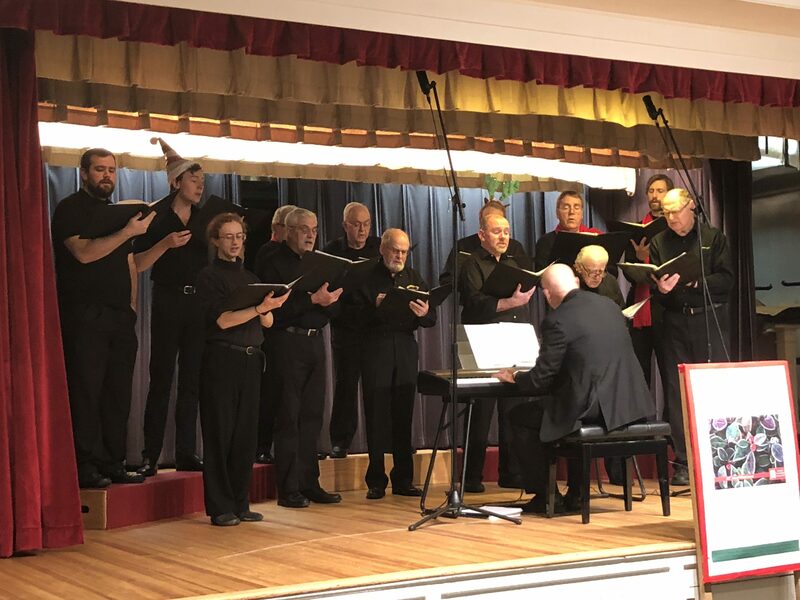 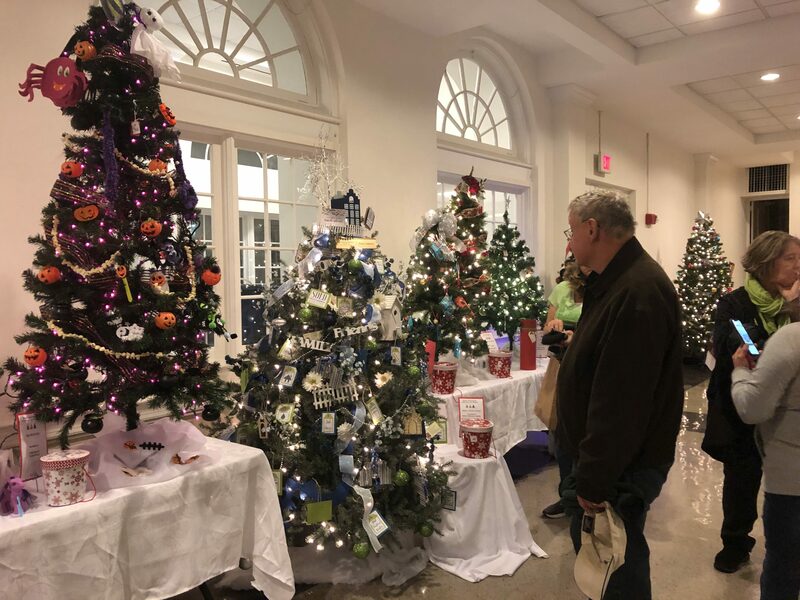 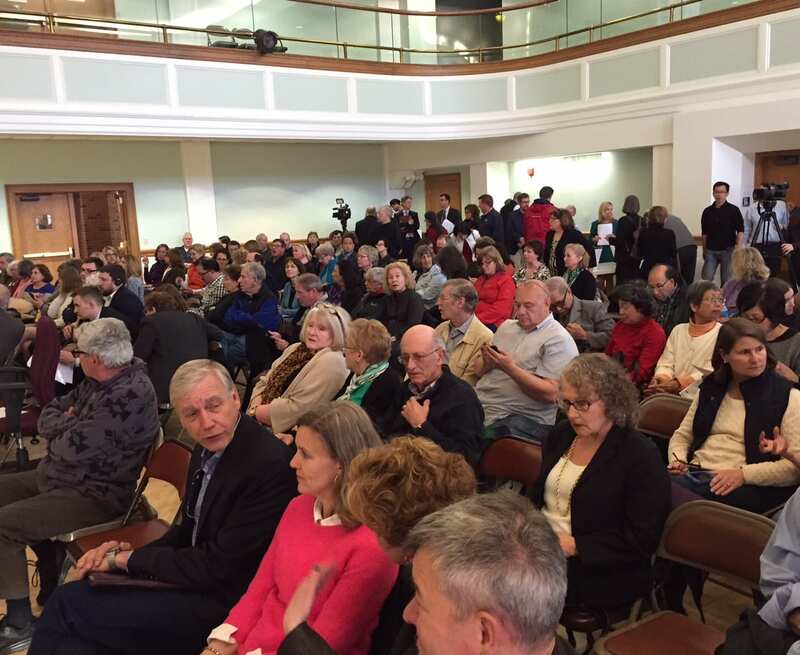 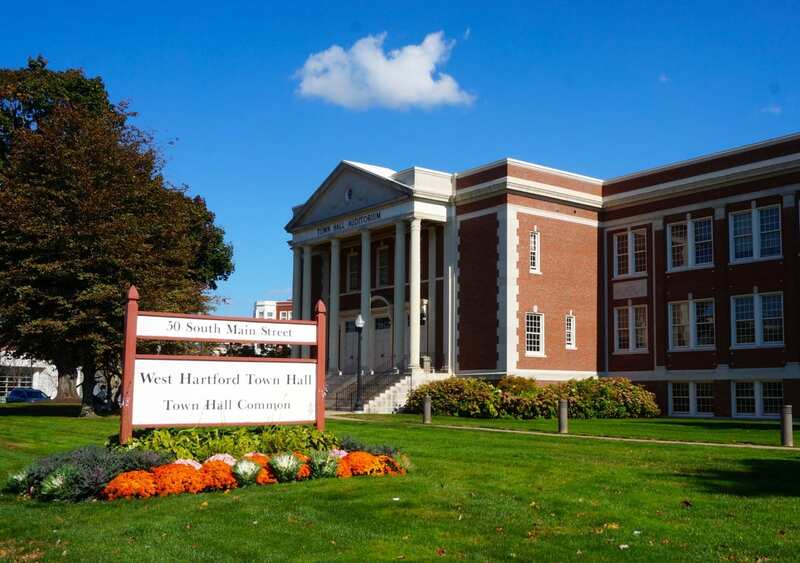 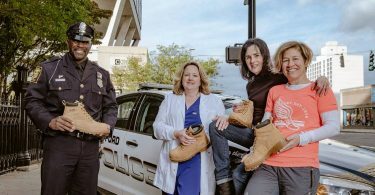 Donations enabled visitors to bid on more than 50 trees and the event supports local community outreach programs like Habitat for Humanity of Eastern Connecticut, Loaves and Fishes Ministries, and Foodshare. 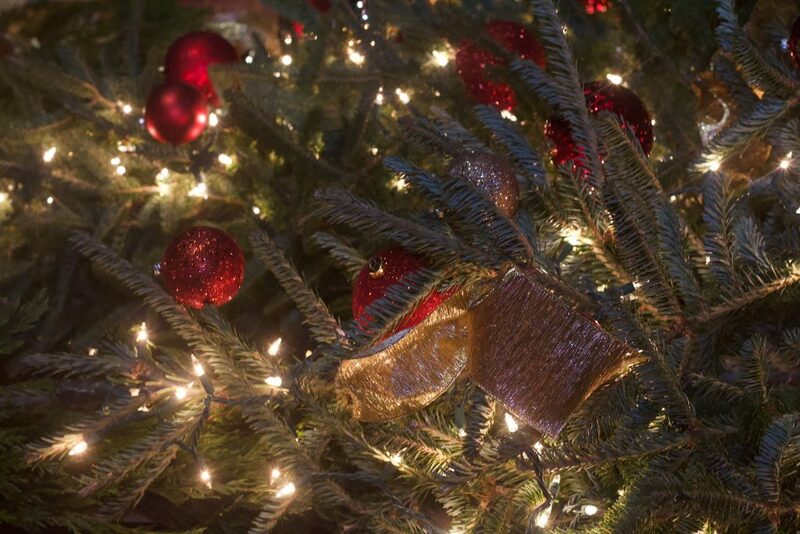 Winners will be contacted on Sunday. 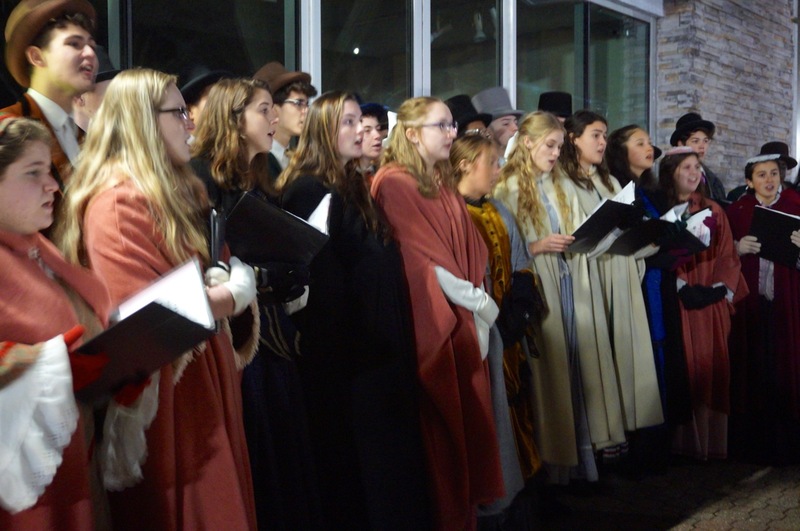 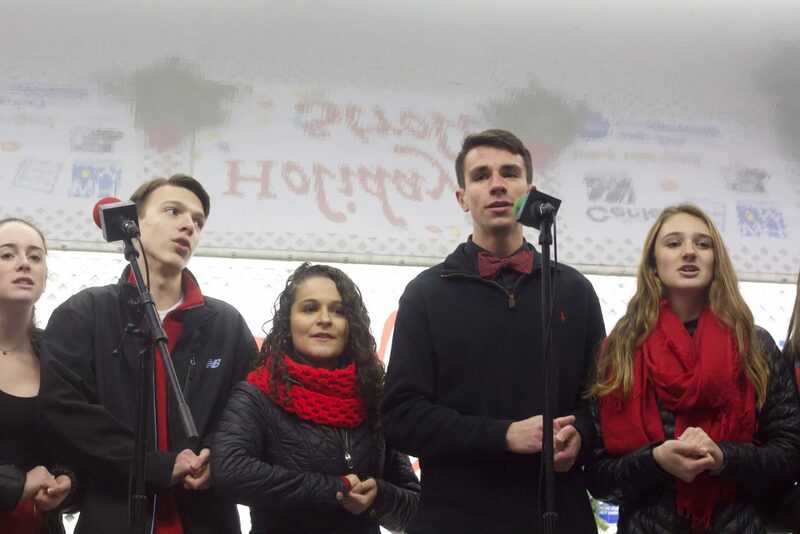 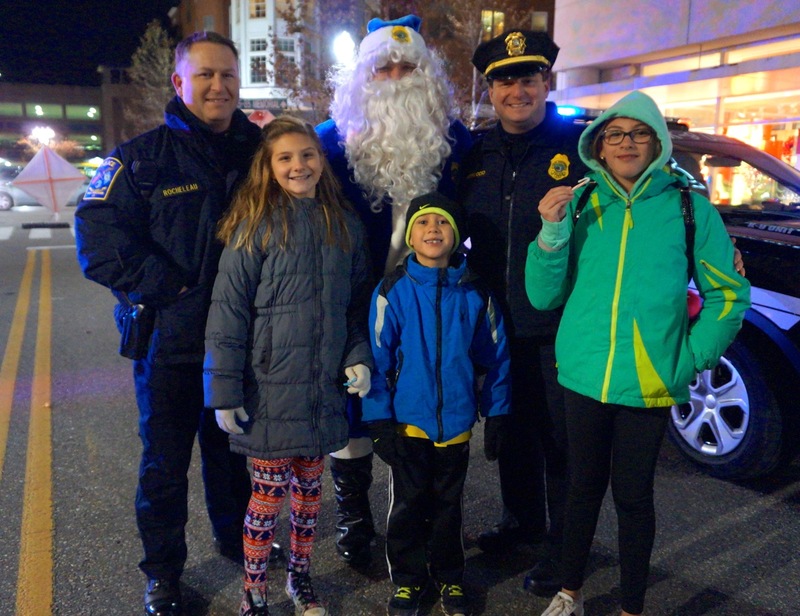 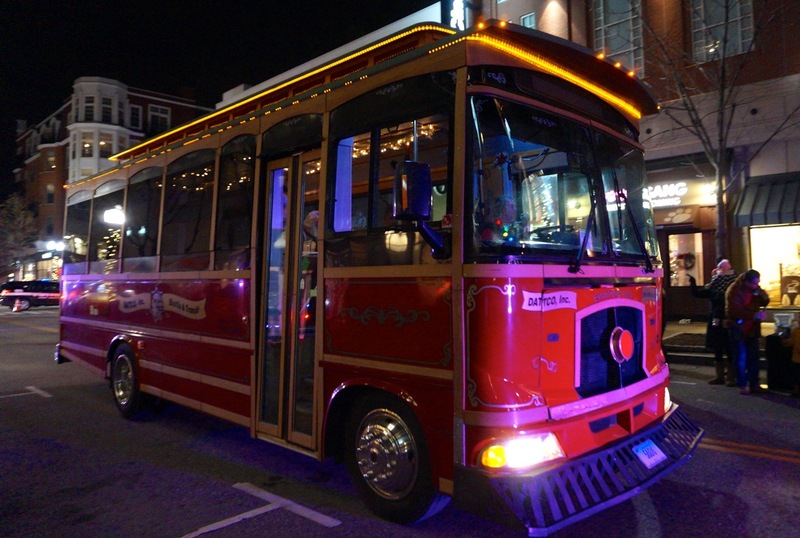 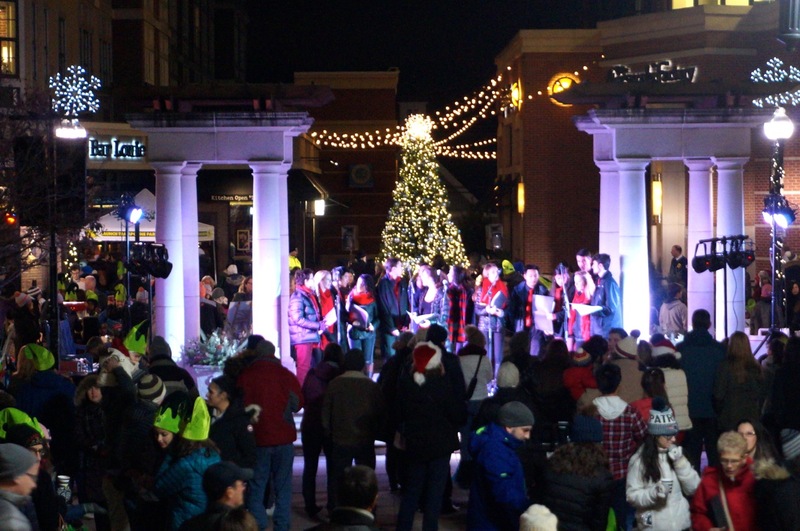 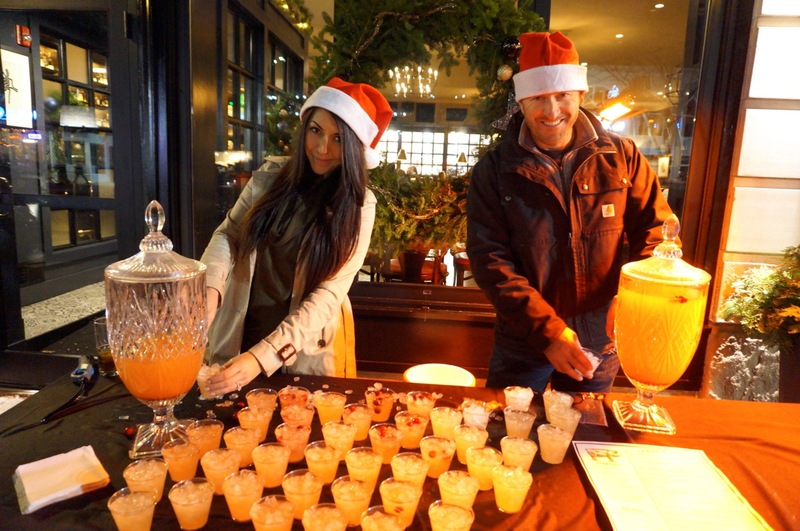 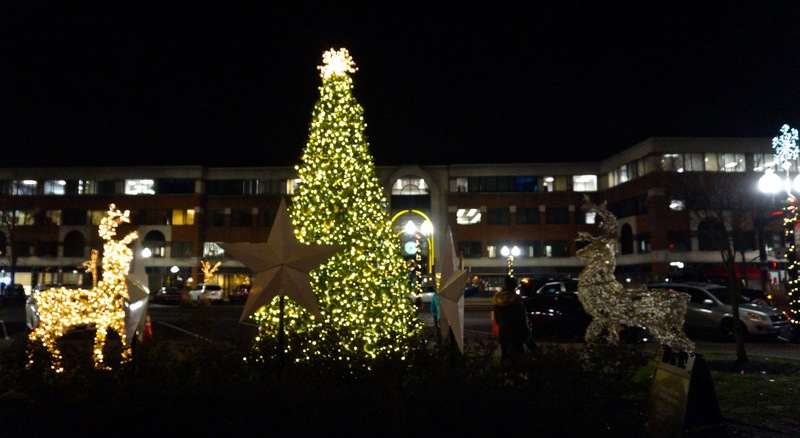 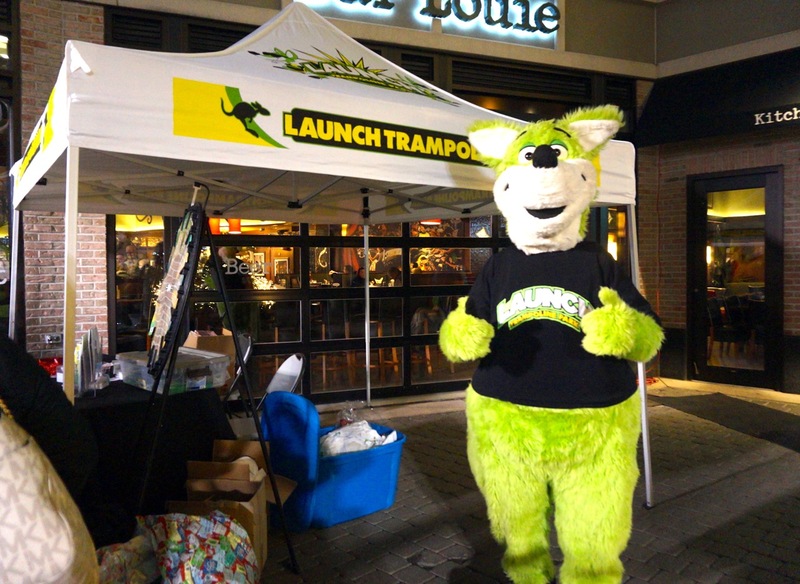 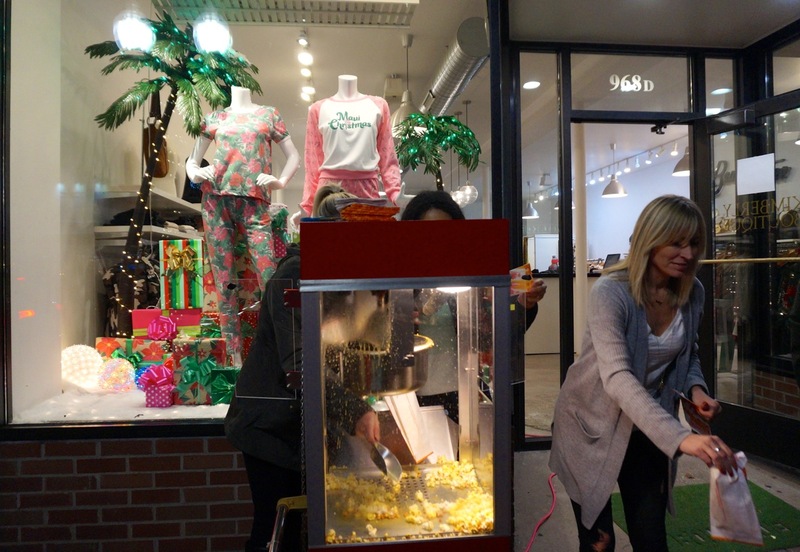 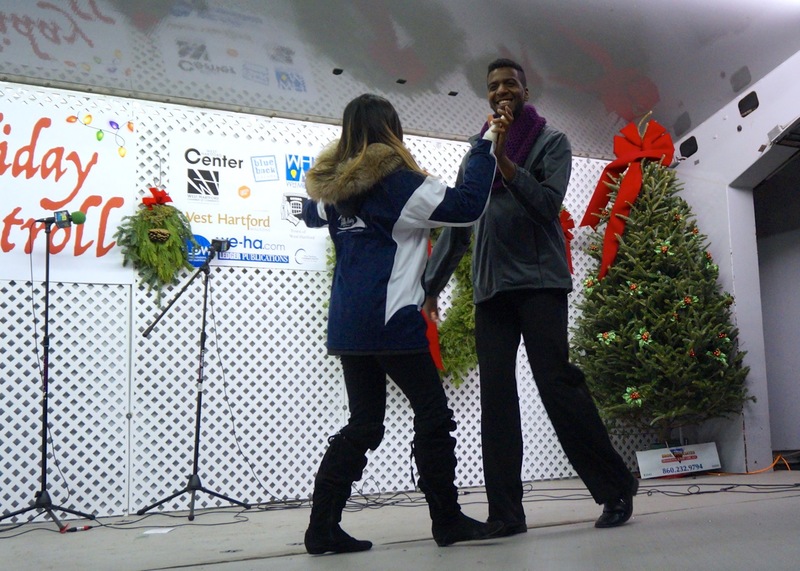 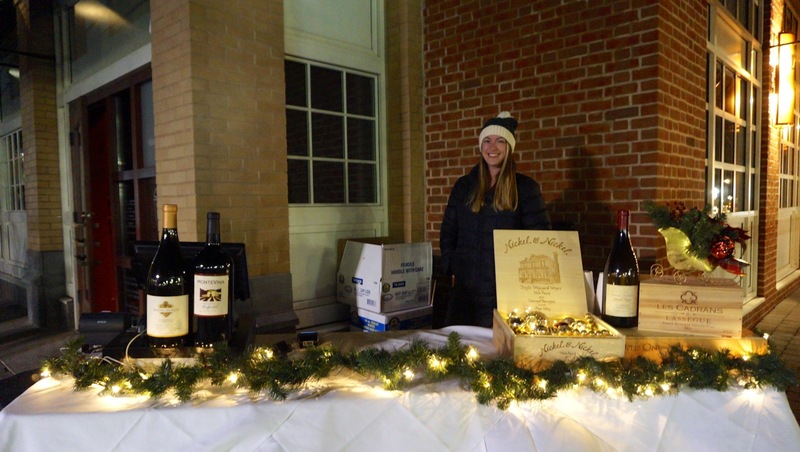 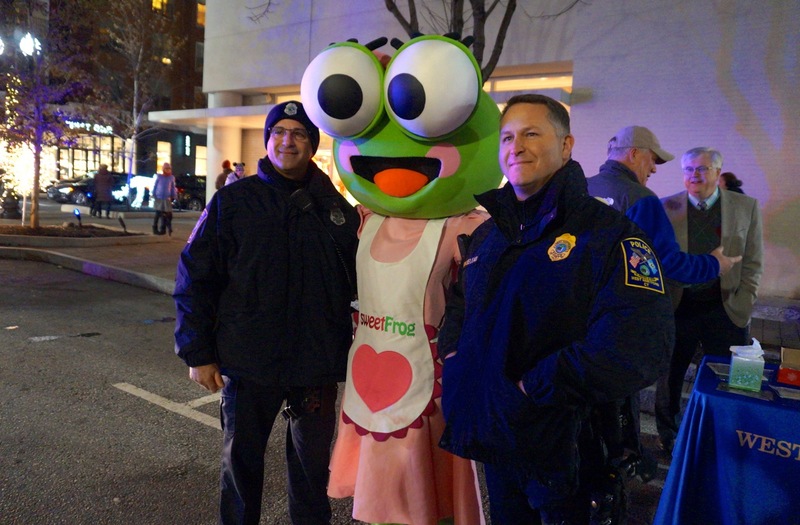 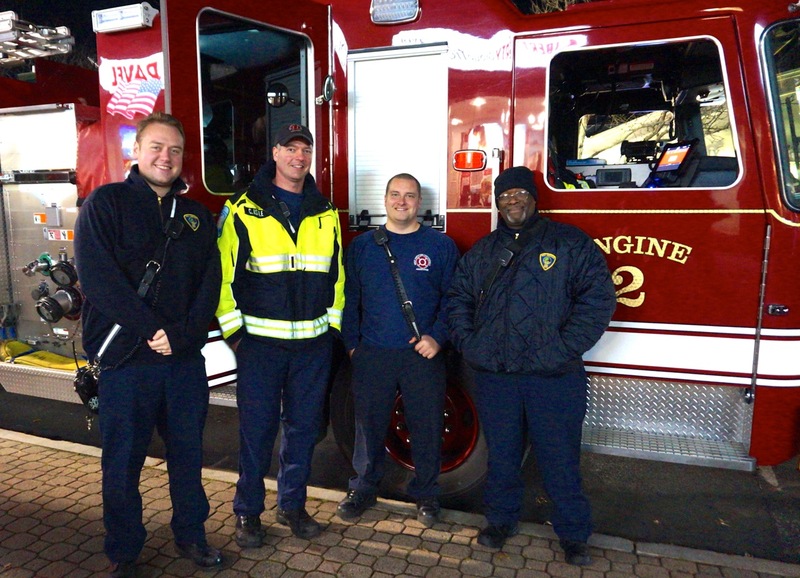 The Holiday Stroll was fun and festive, and from the smiles on everyone’s faces, the event was a great success. 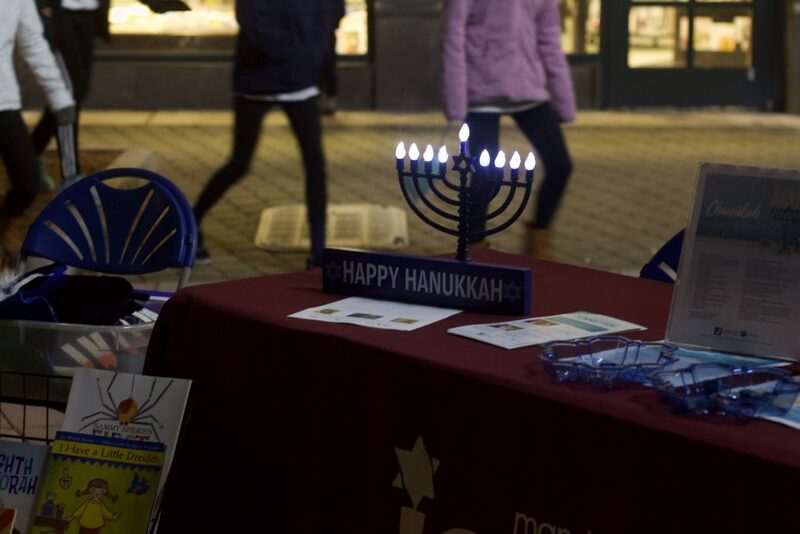 I appreciate the inclusiveness of the name “Holiday Stroll,” but was disappointed (as was my young child) that I couldn’t find any representations of Hanukah, save for a menorah inside of Ben & Jerry’s window.